Synergistic is the key, especially for days that is fast-paced and you want to be at the top of your game. Like all other big projects or influential works, it has to have structured blueprints and strong foundation to ensure a prestigious finishing. Therefore, we introduce the newly improved synergistic formula of Romano Deodorant Spray which has longer-lasting scent and a guaranteed promise of freshness and protection. 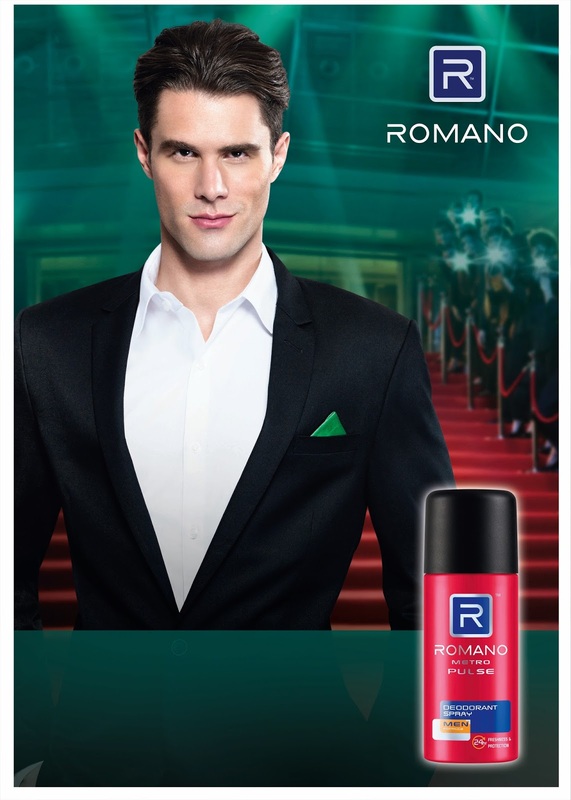 Romano Deodorant Spray with its masculine premium fragrance and improved quick dry formula provides 24-hour freshness and protection for men that require sophistication and confidence in their daily routine. The antibacterial properties guard against bacteria and prevent body odor that shaken confidence. Romano Deodorant Spray is now more potent with its 20% increase in perfume strength and comes with four types of fragrance notes to suit your style. This ensures that the spritz will be an all-day smell-good and feel-good experience for you. The latest packaging encapsulates a bolder message of a masculine man that aces in everything he does and still manages to stay fresh throughout the day. ROMANO Metro Pulse starts off with an invigorating Citrusy and Aqueous blend, mixed with refreshing Mint and Sage, before ending on a warm mossy and woody note. Both cool and provocative, this is the scent for the urban man who’s effervescent and full of life. ROMANO Prestige is an exquisite concoction of spicy Black Pepper notes with a dash of sparkling Citrus, interlaced with luxurious Lavender and Sage over amber woody base. Irresistibly aquatic with hints of floral musk at its heart, this opulent scent befits the sophisticated, powerful man who is second to none. Romano Classic is built on a solid woody base made of earthy Patchouli and exotic Sandalwood. Topped with fresh, aromatic green notes, plus a touch of citrus enhanced by fiery spices. Crisp and clean with warm underlying notes, this distinct fragrance is the epitome of versatility. It’s made for the manly modern man with a timeless appeal. ROMANO Urbane Attitude centres on fresh Fougère scent of Lavender with a sparkling Bergamot and Lemon twist. Exotic fruity essence of Pineapple plus Cassis adds a charismatic touch while sensual musk and woody notes wrap up this young, dynamic fragrance made for the hip city man with an electrifying swag. I haven't been using the Deodorant for last 3 years. Personally, I really like the perfume. I look into your blog and find the Deodorant of Romano could be a good one. Thanks for sharing this review.